For the meditation practices called Kammaṭṭhāna ("Place of work"), see Kammaṭṭhāna. The Kammaṭṭhāna Forest Tradition of Thailand (Pali: kammaṭṭhāna; [kəmːəʈːʰaːna] meaning "place of work"), commonly known in the West as the Thai Forest Tradition, is a lineage of Theravada Buddhist monasticism. The Thai Forest Tradition started around circa 1900 with Ajahn Mun Bhuridatto, who wanted to practice Buddhist monasticism, and its meditative practices, according to the normative standards of pre-sectarian Buddhism. After studying with Ajahn Sao Kantasīlo, and wandering through the north-east of Thailand, Ajahn Mun reportedly became a non-returner, and started to teach in North-East Thailand. He strived for a revival of the oldest Buddhism, insisting on a strict observance of the Buddhist monastic code, known as the Vinaya, and teaching the actual practice of jhana and the realisation of nibbana. Initially Ajaan Mun's teachings were met with fierce opposition, but in the 1930s his group was acknowledged as a formal faction of Thai Buddhism, and in the 1950s the relationship with the royal and religious establishment improved. In the 1960s western students started to be attracted, and in the 1970s Thai-oriented meditation groups spread in the west. The purpose of practice is to attain the Deathless (Pali: amata-dhamma), c.q. nibbana. Forest teachers directly challenge the notion of dry insight, and teach that nibbana must be arrived at through mental training which includes deep states of meditative concentration (Pali: jhana), and "exertion and striving" to "cut" or "clear the path" through the "tangle" of defilements, in order to set awareness free. Some representatives of the tradition regard the pure radiant Original Mind[note 1] as the essence that remains when all mental productions are stopped. It describes the Buddhist path as a training regimen to awaken to this Primal Mind, and its objective to reach proficiency in a diverse range of both meditative techniques and aspects of conduct that will eradicate defilements (Pali: "kilesas") – unwholesome aspects of the mind – in order to attain awakening. Before authority was centralized in the 19th and early 20th centuries, the region known today as Thailand was a kingdom of semi-autonomous city states (Thai: mueang). These kingdoms were all ruled by a hereditary local governor, and while independent, paid tribute to Bangkok, the more powerful central city state in the region. Each region had its own religious customs according to local tradition, and substantially different forms of Buddhism existed between mueangs. Though all of these local flavors of regional Thai Buddhism evolved their own customary elements relating to local spirit lore, all were shaped by the infusion of Mahayana Buddhism and Indian Tantric traditions, which arrived in the area prior to the fourteenth century. 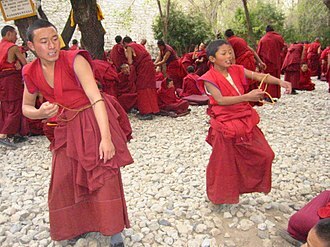 Additionally, many of the monastics in the villages engaged in behavior inconsistent the Buddhist monastic code (Pali: vinaya), including playing board games, and participating in boat races and waterfights. In the 1820s young Prince Mongkut (1804–1866), the future fourth king of the Rattanakosin Kingdom (Siam), ordained as a Buddhist monk before rising to the throne later in his life. He travelled around the Siamese region, and quickly became dissatisfied with the caliber of Buddhist practice he saw around him. He was also concerned about the authenticity of the ordination lineages, and the capacity of the monastic body to act as an agent that generates good karma (Pali: puññakkhettam, meaning "merit-field"). Mongkut's brother Nangklao, King Rama III, the third king of the Rattanakosin Kingdom, considered Mongkut's involvement with the Mons, an ethnic minority, to be improper, and built a monastery on the outskirts of Bangkok. In 1836, Mongkut became the first abbot of Wat Bowonniwet Vihara, which would become the administrative center of the Thammayut order until the present day. The early participants of the movement continued to devote themselves to a combination of textual study and meditations they had discovered from the texts they had received. However, Thanissaro notes that none of the monks could make any claims of having successfully entered meditative concentration (Pali: samadhi), much less having reached a noble level. The Dhammayut reform movement maintained strong footing as Mongkut later rose to the throne. Over the next several decades the Dhammayut monks would continue with their study and practice. The Kammaṭṭhāna Forest Tradition started around 1900 with Ajahn Mun Bhuridatto, who studied with Ajahn Sao Kantasīlo, and wanted to practice Buddhist monasticism, and its meditative practices, according to the normative standards of pre-sectarian Buddhism, which Ajahn Mun termed "the customs of the noble ones". Ajaan Mun (1870–1949) went to Wat Liap monastery immediately after being ordained in 1893, where he started to practice kasina-meditation, in which awareness is directed away from the body. While it leads to a state of calm-abiding, it also leads to visions and out-of-body experiences. He then turned to his keeping awareness of his body at all times, taking full sweeps of the body through a walking meditation practice, which leads to a more satisfactory state of calm-abiding. Left to right: Ajahn Mun Bhuridatto and Ajahn Sao Kantasīlo, founders of the Kammatthana Forest lineage. During this time, Chulalongkorn (1853–1910), the fifth monarch of the Rattanakosin Kingdom, and his brother Prince Wachirayan, initiated a cultural modernization of the entire region. This modernisation included an ongoing campaign to homogenize Buddhism among the villages. Chulalongkorn and Wachiraayan were taught by Western tutors, and held distaste for the more mystical aspects of Buddhism. [note 4] They abandoned Mongkut's search for the noble attainments, indirectly stating that the noble attainments were no longer possible. In an introduction to the Buddhist monastic code written by Wachirayan, he stated that the rule forbidding monks to make claims to superior attainments was no longer relevant. During this time, the Thai government enacted legislation to group these factions into official monastic fraternities. The monks ordained as part of the Dhammayut reform movement were now part of the Dhammayut order, and all remaining regional monks were grouped together as the Mahanikai order. After his stay at Wat Liap, Ajaan Mun wandered through the Northeast. Ajaan Mun still had visions,[note 5] when his concentration and mindfulness were lost, but through trial and error he eventually found a method of to tame his mind. As his mind gained more inner stability, he gradually headed towards Bangkok, consulting his childhood friend Chao Khun Upali on practices pertaining to the development of insight (Pali: paññā, also meaning "wisdom" or "discernment"). He then left for an unspecified period, staying in caves in Lopburi, before returning to Bangkok one final time to consult with Chao Khun Upali, again pertaining to the practice of paññā. Feeling confident in his paññā practice he left for Sarika Cave. During his stay there, Ajaan Mun was critically ill for several days. After medicines failed to remedy his illness, Ajaan Mun ceased to take medication and resolved to rely on the power of his Buddhist practice. Ajaan Mun investigated the nature of the mind and this pain, until his illness disappeared, and successfully coped with visions featuring a club-wielding demon apparition who claimed he was the owner of the cave. According to forest tradition accounts, Ajaan Mun attained the noble level of non-returner (Pali: "anagami") after subduing this apparition and working through subsequent visions he encountered in the cave. Sarika Cave in Nakhon Nayok province, Thailand, where Ajahn Mun reputedly attained anagami (non-returner) status. Ajaan Mun returned to the Northeast to start teaching, which marked the effective beginning of the Kammatthana tradition. He insisted on a scrupulous observance of the Vinaya, the Buddhist monastic code, and of the protocols, the instructions for the daily activities of the monk. He taught that virtue was a matter of the mind, not of rituals, and that intention forms the essence of virtue, not the proper conduct of rituals. He asserted that meditative concentration was necessary on the Buddhist path, and that the practice of jhana and the experience of Nirvana was still possible even in modern times. His report of having reached a noble attainment was met with very mixed reaction among the Thai clergy. The ecclesiastical official Ven. Chao Khun Upali held him in high esteem, which would be a significant factor in the subsequent leeway that state authorities gave to Ajaan Mun and his students. Tisso Uan (1867–1956), who later rose to Thailand's highest ecclesiastical rank of somdet thoroughly rejected claims to the authenticity of Ajaan Mun's attainment. Tension between the forest tradition and the Thammayut administrative hierarchy escalated in 1926, when Tisso Uan attempted to drive a senior Forest Tradition monk named Ajaan Sing—along with his following of 50 monks and 100 nuns and laypeople — out of Ubon, which was under Tisso Uan's jurisdiction. Ajaan Sing refused, saying he and many of his supporters were born there, and they weren't doing anything to harm anyone. After arguing with district officials the directive was eventually dropped. In the late 1930s Tisso Uan formally recognized the Kammatthana monks as a faction. However, even after Ajaan Mun died in 1949, Tisso Uan continued to insist that Ajaan Mun had never been qualified to teach because he hadn't graduated from the government's formal Pali studies courses. Tisso Uan eventually recovered, and a friendship between Tisso Uan and Ajaan Lee began, that would cause Tisso Uan to reverse his opinion of the Kammaṭṭhāna tradition, inviting Ajahn Lee to teach in the city. This event marked a turning point in relations between the Dhammayut administration and the Forest Tradition, and interest continued to grow as a friend of Ajaan Maha Bua's named Nyanasamvara rose to the level of somdet, and later the Sangharaja of Thailand. Additionally, the clergy who had been drafted as teachers from the Fifth Reign onwards were now being displaced by civilian teaching staff, which left the Dhammayut monks with a crisis of identity. In the tradition's beginning the founders famously neglected to record their teachings, instead wandering the Thai countryside offering individual instruction to dedicated pupils. However, detailed meditation manuals and treatises on Buddhist doctrine emerged in the late 20th century from Ajahn Mun and Ajahn Sao's first-generation students as the Forest tradition's teachings began to propagate among the urbanities in Bangkok and subsequently take root in the West. Ajahn Lee, one of Ajahn Mun's students, was instrumental in disseminating Mun's teachings to a wider Thai lay audience. Ajahn Lee wrote several books which recorded the doctrinal positions of the forest tradition, and explained broader Buddhist concepts in the Forest Tradition's terms. Ajaan Lee and his students are considered a distinguishable sub-lineage that is sometimes referred to as the "Chanthaburi Line". An influential western student in the line of Ajahn Lee is Thanissaro Bhikkhu. Ajahn Chah (1918–1992) was a central person in the popularisation of the Thai Forest Tradition in the west. 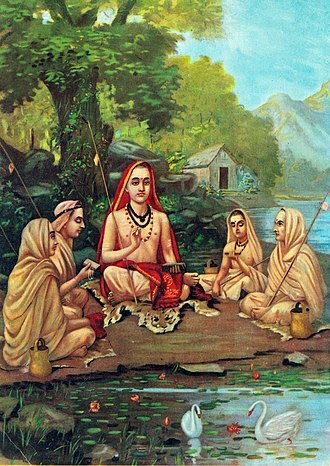 [note 7] In contrast to most members of the Forest Tradition he was not a Dhammayut monk, but a Mahanikai monk. He only spent one weekend with Ajaan Mun, but had teachers within the Mahanikai who had more exposure to Ajaan Mun. His connection to the Forest Tradition was publicly recognized by Ajaan Maha Bua. The community that he founded is formally referred to as The Forest Tradition of Ajahn Chah. In 1967, Ajahn Chah founded Wat Pah Pong. That same year, an American monk from another monastery, Venerable Sumedho (Robert Kan Jackman, later Ajahn Sumedho) came to stay with Ajahn Chah at Wat Pah Pong. He found out about the monastery from one of Ajahn Chah's existing monks who happened to speak "a little bit of English". In 1975, Ajahns Chah and Sumedho founded Wat Pah Nanachat, an international forest monastery in Ubon Ratchatani which offers services in English. In the 1980s the Forest Tradition of Ajahn Chah expanded to the West with the founding of Amaravati Buddhist Monastery in the UK. Ajahn Chah stated that the spread of Communism in Southeast Asia motivated him to establish the Forest Tradition in the West. The Forest Tradition of Ajahn Chah has since expanded to cover Canada, Germany, Italy, New Zealand, and the United States. Another influential student of Ajahn Chan is Jack Kornfield. With the passing of Ajaan Thate in 1994, Ajahn Maha Bua was designated the new Ajaan Yai. By this time, the Forest Tradition's authority had been fully routinized, and Ajaan Maha Bua had grown a following of influential conservative-loyalist Bangkok elites. He was introduced to the Queen and King by Somdet Nyanasamvara Suvaddhano (Charoen Khachawat), instructing them how to meditate. Satellite photo of Northeast Thailand: The once-lush area of Isan, where the Forest Tradition began, has now been almost entirely deforested. In recent times, the Forest Tradition has undergone a crisis surrounding the destruction of forests in Thailand. Since the Forest Tradition had gained significant pull from the royal and elite support in Bangkok, the Thai Forestry Bureau decided to deed large tracts of forested land to Forest Monasteries, knowing that the forest monks would preserve the land as a habitat for Buddhist practice. The land surrounding these monasteries have been described as "forest islands" surrounded by barren clear-cut area. In the midst of the Thai Financial crisis in the late 1990s, Ajaan Maha Bua initiated Save Thai Nation—a campaign which aimed to raise capital to underwrite the Thai currency. By the year 2000, 3.097 tonnes of gold was collected. By the time of Ajaan Maha Bua's death in 2011, an estimated 12 tonnes of gold had been collected, valued at approximated 500 million USD. 10.2 million dollars of foreign exchange was also donated to the campaign. All proceeds were handed over to the Thai central bank to back the Thai Baht. In the late 2000s bankers at the Thai central bank attempted to consolidate the bank's assets and move the proceeds from the Save Thai Nation campaign into the ordinary accounts which discretionary spending comes out of. The bankers received pressure from Ajaan Maha Bua's supporters which effectively prevented them from doing this. On the subject, Ajaan Maha Bua said that "it is clear that combining the accounts is like tying the necks of all Thais together and throwing them into the sea; the same as turning the land of the nation upside down." In addition to Ajaan Maha Bua's activism for Thailand's economy, his monastery is estimated to have donated some 600 million Baht (19 million USD) to charitable causes. Ajaan Maha Bua was the last of Ajaan Mun's prominent first-generation students. He died in 2011. In his will he requested that all of the donations from his funeral be converted to gold and donated to the Central Bank—an additional 330 million Baht and 78 kilograms of gold. The purpose of practice in the tradition is to attain the Deathless (Pali: amata-dhamma), an absolute, unconditioned dimension of the mind free of inconstancy, suffering, or a sense of self. According to the traditions exposition, awareness of the Deathless is boundless and unconditioned and cannot be conceptualized, and must be arrived at through mental training which includes states of meditative concentration (Pali: jhana). Forest teachers directly challenge the notion of dry insight, arguing that jhana is indispensable. The tradition further asserts that the training which leads to the Deathless is not undertaken simply through contentment or letting go, but that the Deathless must be reached by "exertion and striving," sometimes described as a "battle" or "struggle," to "cut" or "clear the path" through the "tangle" of defilements that bind the mind to the conditioned world, in order to set awareness free. The practice which monks in the tradition generally begin with are meditations on what Ajaan Mun called the five "root meditation themes": the hair of the head, the hair of the body, the nails, the teeth, and the skin. One of the purposes of meditating on these externally visible aspects of the body is to counter the infatuation with the body, and to develop a sense of dispassion. Of the five, the skin is described as being especially significant. Ajaan Mun writes that "When we get infatuated with the human body, the skin is what we are infatuated with. When we conceive of the body as being beautiful and attractive, and develop love, desire, and longing for it, it's because of what we conceive of the skin." The ten recollections: a list of ten meditation themes considered especially significant by the Buddha. The asubha contemplations: contemplations of foulness for combating sensual desire. The brahmaviharas: assertions of good-will for all beings to combat ill-will. Mindfulness immersed in the body and Mindfulness of in-and-out breathing are both part of the ten recollections and the four satipatthana, and are commonly given special attention as primary themes for a meditator to focus on. Ajaan Lee pioneered two approaches to breath meditation wherein one focuses on the subtle energies in the body, which Ajaan Lee termed breath energies. There are several precept levels: Five Precepts, Eight Precepts, Ten Precepts and the patimokkha. The Five Precepts (Pañcaśīla in Sanskrit and Pañcasīla in Pāli) are practiced by laypeople, either for a given period of time or for a lifetime. The Eight Precepts are a more rigorous practice for laypeople. Ten Precepts are the training-rules for sāmaṇeras and sāmaṇerīs (novitiate monks and nuns). The Patimokkha is the basic Theravada code of monastic discipline, consisting of 227 rules for bhikkhus and 311 for nuns bhikkhunis (nuns). Temporary or short-term ordination is so common in Thailand that men who have never been ordained are sometimes referred to as "unfinished." Long-term or lifetime ordination is deeply respected. The ordination process usually begins as an anagarika, in white robes. Monks in the tradition are typically addressed as "Venerable", alternatively with the Thai Ayya or Taan (for men). Any monk may be addressed as "bhante" regardless of seniority. For Sangha elders who have made a significant contribution to their tradition or order, the title Luang Por (Thai: Venerable Father) may be used. According to The Isaan: "In Thai culture, it is considered impolite to point the feet toward a monk or a statue in the shrine room of a monastery." In Thailand monks are usually greeted by lay people with the wai gesture, though, according to Thai custom, monks are not supposed to wai laypeople. When making offerings to the monks, it is best not to stand while offering something to a monk who is sitting down. Ajahn Maha Bua led the monks (in this photo, he was follow by Phra Maha Amborn Ambaro, later the 20th Supreme Patriarch of Thailand) for morning alms around Ban Taad, Udon Thani, in 1965. All Thai monasteries generally have a morning and evening chant, which usually takes an hour long for each, and each morning and evening chant may be followed by a meditation session, usually around an hour as well. Novices meditating under crot umbrella tents. Dhutanga (meaning austere practice Thai: Tudong) is a word generally used in the commentaries to refer to the thirteen ascetic practices. In Thai Buddhism it has been adapted to refer to extended periods of wandering in the countryside, where monks will take one or more of these ascetic practices. During these periods monks will live off of whatever is given to them by laypersons they encounter during the trip, and sleep wherever they can. Sometimes monks will bring a large umbrella-tent with attached mosquito netting known as a crot (also spelled krot, clot, or klod). The crot will usually have a hook on the top so it may be hung on a line tied between two trees. Vassa (in Thai, phansa), is a period of retreat for monastics during the rainy season (from July to October in Thailand). Many young Thai men traditionally ordain for this period, before disrobing and returning to lay life. Like Mongkut, Ajaan Mun stressed the importance of scrupulous observance of both the Buddhist monastic code (Pali: Vinaya). Ajaan Mun went further, and also stressed what are called the protocols: instructions for how a monk should go about daily activities such as keeping his hut, interacting with other people, etc. Ajaan Mun also taught that virtue was a matter of the mind, and that intention forms the essence of virtue. This ran counter to what people in Bangkok said at the time, that virtue was a matter of ritual, and by conducting the proper ritual one gets good results. Ajaan Mun asserted that the practice of jhana was still possible even in modern times, and that meditative concentration was necessary on the Buddhist path. Ajaan Mun stated that one's meditation topic must be keeping in line with one's temperament—everyone is different, so the meditation method used should be different for everybody. Ajaan Mun said the meditation topic one chooses should be congenial and enthralling, but also give one a sense of unease and dispassion for ordinary living and the sensual pleasures of the world. Ajaan Mun said that not only was the practice of jhana possible, but the experience of Nirvana was too. He stated that Nirvana was characterized by a state of activityless consciousness, distinct from the consciousness aggregate. To Ajaan Mun, reaching this mode of consciousness is the goal of the teaching—yet this consciousness transcends the teachings. Ajaan Mun asserted that the teachings are abandoned at the moment of Awakening, in opposition to the predominant scholarly position that Buddhist teachings are confirmed at the moment of Awakening. Along these lines, Ajaan Mun rejected the notion of an ultimate teaching, and argued that all teachings were conventional—no teaching carried a universal truth. Only the experience of Nirvana, as it is directly witnessed by the observer, is absolute. 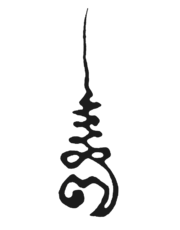 Ajaan Lee reaffirmed that meditative concentration (samadhi) was necessary, yet further distinguished between right concentration and various forms of what he called wrong concentration—techniques where the meditator follows awareness out of the body after visions, or forces awareness down to a single point were considered by Ajaan Lee as off-track. Ajaan Lee stated that discernment (panna) was mostly a matter of trial-and-error. He used the metaphor of basket-weaving to describe this concept: you learn from your teacher, and from books, basically how a basket is supposed to look, and then you use trial-and-error to produce a basket that is in line with what you have been taught about how baskets should be. These teachings from Ajaan Lee correspond to the factors of the first jhana known as directed-thought (Pali: "vitakka"), and evaluation (Pali: "vicara"). Ajaan Lee said that the qualities of virtue that are worked on correspond to the qualities that need to be developed in concentration. Ajaan Lee would say things like "don't kill off your good mental qualities", or "don't steal the bad mental qualities of others", relating the qualities of virtue to mental qualities in one's meditation. Ajaan Mun and Ajaan Lee would describe obstacles that commonly occurred in meditation but would not explain how to get through them, forcing students to come up with solutions on their own. Additionally, they were generally very private about their own meditative attainments. Ajaan Maha Bua, on the other hand, saw what he considered to be a lot of strange ideas being taught about meditation in Bangkok in the later decades of the 20th century. For that reason Ajaan Maha Bua decided to vividly describe how each noble attainment is reached, even though doing so indirectly revealed that he was confident he had attained a noble level. Though the Vinaya prohibits a monk from directly revealing ones own or another's attainments to laypeople while that person is still alive, Ajaan Maha Bua wrote in Ajaan Mun's posthumous biography that he was convinced that Ajaan Mun was an arahant. Thanissaro Bhikkhu remarks that this was a significant change of the teaching etiquette within the Forest Tradition. At one point, Ajaan Maha Bua was asked whether Nirvana was self or not-self and he replied "Nirvana is Nirvana, it is neither self nor not-self". Ajaan Maha Bua stated that not-self is merely a perception that is used to pry one away from infatuation with the concept of a self, and that once this infatuation is gone the idea of not-self must be dropped as well. as the heart had aspired." The twelve nidanas describe how, in a continuous process,[note 17] avijja ("ignorance," "unawareness") leads to the mind preoccupation with its contents and the associated feelings, which arise with sense-contact. This absorption darkens the mind and becomes a "defilement" (Pali: kilesa), which lead to craving and clinging (Pali: upadana). This in turn leads to becoming, which conditions birth. While "birth" traditionally is explained as rebirth of a new life, it is also explained in Thai Buddhism as the birth of self-view, which gives rise to renewed clinging and craving. The Forest tradition is often cited[according to whom?] as having an anti-textual stance, as Forest teachers in the lineage prefer edification through ad-hoc application of Buddhist practices rather than through methodology and comprehensive memorization, and likewise state that the true value of Buddhist teachings is in their ability to be applied to reduce or eradicate defilement from the mind. In the tradition's beginning the founders famously neglected to record their teachings, instead wandering the Thai countryside offering individual instruction to dedicated pupils. However, detailed meditation manuals and treatises on Buddhist doctrine emerged in the late 20th century from Ajahn Mun and Ajahn Sao's first-generation students as the Forest tradition's teachings began to propagate among the urbanities in Bangkok and subsequently take root in the West. Related Forest Traditions are also found in other culturally similar Buddhist Asian countries, including the Galduwa Forest Tradition of Sri Lanka, the Taungpulu Forest Tradition of Myanmar and a related Lao Forest Tradition in Laos. ^ Kornfield (2008);  Lopez calls it "Pure Mind." ^ Thanissaro: "Both Rama V and Prince Vajirañana were trained by European tutors, from whom they had absorbed Victorian attitudes toward rationality, the critical study of ancient texts, the perspective of secular history on the nature of religious institutions, and the pursuit of a “useful” past. As Prince Vajirañana stated in his Biography of the Buddha, ancient texts, such as the Pali Canon, are like mangosteens, with a sweet flesh and a bitter rind. The duty of critical scholarship was to extract the flesh and discard the rind. Norms of rationality were the guide to this extraction process. Teachings that were reasonable and useful to modern needs were accepted as the flesh. Stories of miracles and psychic powers were dismissed as part of the rind. ^ Maha Bua: "Sometimes, he felt his body soaring high into the sky where he traveled around for many hours, looking at celestial mansions before coming back down. At other times, he burrowed deep beneath the earth to visit various regions in hell. There he felt profound pity for its unfortunate inhabitants, all experiencing the grievous consequences of their previous actions. Watching these events unfold, he often lost all perspective of the passage of time. In those days, he was still uncertain whether these scenes were real or imaginary. He said that it was only later on, when his spiritual faculties were more mature, that he was able to investigate these matters and understand clearly the definite moral and psychological causes underlying them. ^ Ajahn Lee: "One day he said, "I never dreamed that sitting in samadhi would be so beneficial, but there's one thing that has me bothered. To make the mind still and bring it down to its basic resting level (bhavanga): Isn't this the essence of becoming and birth?" "That's what samadhi is," I told him, "becoming and birth." "But the Dhamma we're taught to practice is for the sake of doing away with becoming and birth. So what are we doing giving rise to more becoming and birth?" "If you don't make the mind take on becoming, it won't give rise to knowledge, because knowledge has to come from becoming if it's going to do away with becoming. This is becoming on a small scale—uppatika bhava—which lasts for a single mental moment. The same holds true with birth. To make the mind still so that samadhi arises for a long mental moment is birth. Say we sit in concentration for a long time until the mind gives rise to the five factors of jhana: That's birth. If you don't do this with your mind, it won't give rise to any knowledge of its own. And when knowledge can't arise, how will you be able to let go of unawareness [avijja]? It'd be very hard. "As I see it," I went on, "most students of the Dhamma really misconstrue things. Whatever comes springing up, they try to cut it down and wipe it out. To me, this seems wrong. It's like people who eat eggs. Some people don't know what a chicken is like: This is unawareness. As soon as they get hold of an egg, they crack it open and eat it. But say they know how to incubate eggs. They get ten eggs, eat five of them and incubate the rest. While the eggs are incubating, that's "becoming." When the baby chicks come out of their shells, that's "birth." If all five chicks survive, then as the years pass it seems to me that the person who once had to buy eggs will start benefiting from his chickens. He'll have eggs to eat without having to pay for them, and if he has more than he can eat he can set himself up in business, selling them. In the end he'll be able to release himself from poverty. "So it is with practicing samadhi: If you're going to release yourself from becoming, you first have to go live in becoming. If you're going to release yourself from birth, you'll have to know all about your own birth." ^ Zuidema: "Ajahn Chah (1918–1992) is the most famous Thai Forest teacher. He is acknowledged to have played an instrumental role in spreading the Thai Forest tradition to the west and in making this tradition an international phenomenon in his lifetime." ^ Thanissaro: "The Mahanikaya hierarchy, which had long been antipathetic to the Forest monks, convinced the Dhammayut hierarchy that their future survival lay in joining forces against the Forest monks, and against Ajaan Mahabua in particular. Thus the last few years have witnessed a series of standoffs between the Bangkok hierarchy and the Forest monks led by Ajaan Mahabua, in which government-run media have personally attacked Ajaan Mahabua. The hierarchy has also proposed a series of laws—a Sangha Administration Act, a land-reform bill, and a “special economy” act—that would have closed many of the Forest monasteries, stripped the remaining Forest monasteries of their wilderness lands, or made it legal for monasteries to sell their lands. These laws would have brought about the effective end of the Forest tradition, at the same time preventing the resurgence of any other forest tradition in the future. So far, none of these proposals have become law, but the issues separating the Forest monks from the hierarchy are far from settled." ^ On being accused of aspiring to political ambitions, Ajaan Maha Bua replied: "If someone squanders the nation's treasure [...] what do you think this is? People should fight against this kind of stealing. Don't be afraid of becoming political, because the nation's heart (hua-jai) is there (within the treasury). The issue is bigger than politics. This is not to destroy the nation. There are many kinds of enemies. When boxers fight do they think about politics? No. They only think about winning. This is Dhamma straight. Take Dhamma as first principle." ^ Ajaan Maha Bua: "The word “kammaṭṭhāna” has been well known among Buddhists for a long time and the accepted meaning is: “the place of work (or basis of work).” But the “work” here is a very important work and means the work of demolishing the world of birth (bhava); thus, demolishing (future) births, kilesas, taṇhā, and the removal and destruction of all avijjā from our hearts. All this is in order that we may be free from dukkha. In other words, free from birth, old age, pain and death, for these are the bridges that link us to the round of saṁsāra (vaṭṭa), which is never easy for any beings to go beyond and be free. This is the meaning of “work” in this context rather than any other meaning, such as work as is usually done in the world. The result that comes from putting this work into practice, even before reaching the final goal, is happiness in the present and in future lives. Therefore those [monks] who are interested and who practise these ways of Dhamma are usually known as Dhutanga Kammaṭṭhāna Bhikkhus, a title of respect given with sincerity by fellow Buddhists. benefit the dead (the hungry shades). May you be happy & live long. long life, beauty, happiness, strength. ^ This characterization deviates from what is conventionally known in the West as mind. 'All dhammas are preceded by the heart, dominated by the heart, made from the heart.' The Buddha formulated the entire Dhamma and Vinaya from out of this great foundation, the heart. So when his disciples contemplate in accordance with the Dhamma and Vinaya until namo is perfectly clear, then mano lies at the end point of formulation. In other words, it lies beyond all formulations. All supposings come from the heart. Each of us has his or her own load, which we carry as supposings and formulations in line with the currents of the flood (ogha), to the point where they give rise to unawareness (avijja), the factor that creates states of becoming and birth, all from our not being wise to these things, from our deludedly holding them all to be 'me' or 'mine'. ^ Ajahn Chah: "The mind isn’t 'is' anything. What would it 'is'? We’ve come up with the supposition that whatever receives preoccupations—good preoccupations, bad preoccupations, whatever—we call “heart” or 'mind.' Like the owner of a house: Whoever receives the guests is the owner of the house. The guests can’t receive the owner. The owner has to stay put at home. When guests come to see him, he has to receive them. So who receives preoccupations? Who lets go of preoccupations? Who knows anything? [Laughs] That’s what we call 'mind.' But we don’t understand it, so we talk, veering off course this way and that: 'What is the mind? What is the heart?' We get things way too confused. Don’t analyze it so much. What is it that receives preoccupations? Some preoccupations don’t satisfy it, and so it doesn’t like them. Some preoccupations it likes and some it doesn’t. Who is that—who likes and doesn’t like? Is there something there? Yes. What’s it like? We don’t know. Understand? That thing... That thing is what we call the “mind.” Don’t go looking far away." ^ The five khandas (Pali: pañca khandha) describes how consciousness (vinnana) is conditioned by the body and its senses (rupa, "form") which perceive (sanna) objects and the associated feelings (vedana) that arise with sense-contact, and lead to the "fabrications" (sankhara), that is, craving, clinging and becoming. ^ However it cannot be stated affirmatively where the mind of an arahant exists or that it exists at all, because describing an arahant's mind in terms of existence would limit it to the confines of time and space, which Nirvana occurs outside of. It would be equally incorrect to say that the mind of an arahant does not exist, since the Buddha said that the idea of existence or non-existence "does not apply" to the behavior of an arahant's mind. ^ a b Lopez 2016, p. 61. ^ a b Robinson, Johnson & Ṭhānissaro Bhikkhu 2005, p. 167. ^ a b Taylor 1993, pp. 16–17. ^ a b Kornfield 2008, p. 42. ^ a b Lopez 2016, p. 147. ^ Tiyavanich, 1993 & pp. 2–6. ^ a b Thanissaro 2010. ^ Lopez 2013, p. 696. ^ Tambiah 1984, p. 156. ^ Tambiah 1984, p. 84. ^ Tambiah, 1984 & p. 84. ^ a b Maha Bua Nyanasampanno 2014. ^ a b Thanissaro 2005, p. 11. ^ a b c d Maha Bua Nyanasampanno 2004. ^ Tambiah 1984, pp. 87–88. ^ a b Thanissaro 2015, https://www.youtube.com/watch?v=1S40nS_0R9Y&t=2070s. ^ a b Thanissaro 2015, https://www.youtube.com/watch?v=1S40nS_0R9Y&t=2460s. ^ a b Thanissaro 2015, https://www.youtube.com/watch?v=1S40nS_0R9Y&t=2670s. ^ Taylor 1993, p. 137. ^ a b Lee 2012. ^ a b c Thanissaro 2005. ^ a b Zuidema 2015. ^ Harvey 2013, p. 443. ^ a b c Taylor 2008, pp. 118–128. ^ Taylor 2008, pp. 126–127. ^ Taylor 2008, p. 123. ^ a b Maha Bua Nyanasampanno 2010. ^ a b c d Mun 2016. ^ Lee 2012, p. 60, http://www.dhammatalks.org/Archive/Writings/BasicThemes(four_treatises)_121021.pdf. ^ a b Lee 2010, p. 19. ^ Lee, 2010 & p. 19. ^ a b Thanissaro 2015, https://www.youtube.com/watch?v=1S40nS_0R9Y&t=2680s. ^ Maha Bua Nyanasampanno 2005. ^ Thanissaro 2013, p. 9. Chah, Ajahn (2013), Still Flowing Water: Eight Dhamma Talks (PDF), Abhayagiri Foundation , translated from Thai by Thanissaro Bhikkhu. Chah, Ajahn (2010), Not for Sure: Two Dhamma Talks, Abhayagiri Foundation , translated from Thai by Thanissaro Bhikkhu. Ajahn Chah (2006). A Taste of Freedom: Selected Dhamma Talks. Buddhist Publication Society. ISBN 978-955-24-0033-9. Bruce, Robert (1969). "King Mongkut of Siam and his Treaty with Britain". Journal of the Hong Kong Branch of the Royal Asiatic Society. Royal Asiatic Society Hong Kong Branch. 9: 88–100. JSTOR 23881479. "Rattanakosin Period (1782 -present)". GlobalSecurity.org. Retrieved November 1, 2015. Robinson, Richard H.; Johnson, Willard L.; Ṭhānissaro Bhikkhu (2005). Buddhist Religions: A Historical Introduction. Wadsworth/Thomson Learning. ISBN 978-0-534-55858-1. Schuler, Barbara (2014). Environmental and Climate Change in South and Southeast Asia: How are Local Cultures Coping?. Brill. Tambiah, Stanley Jeyaraja (1984). The Buddhist Saints of the Forest and the Cult of Amulets. Cambridge University Press. ISBN 978-0-521-27787-7. Taylor, J. L. (1993). Forest Monks and the Nation-state: An Anthropological and Historical Study in Northeastern Thailand. Singapore: Institute of Southeast Asian Studies. ISBN 978-981-3016-49-1. Tiyavanich, Kamala (January 1997). Forest Recollections: Wandering Monks in Twentieth-Century Thailand. University of Hawaii Press. ISBN 978-0-8248-1781-7. Ajahn Amaro is a Theravada Buddhist monk and teacher, and abbot of the Amaravati Buddhist Monastery at the eastern end of the Chiltern Hills in south east England. The centre, in practice as much for people as for monastics, is inspired by the Thai forest tradition. Its chief priorities are the practice and teaching of Buddhist ethics, together with concentration and insight meditation techniques. Ajahn Amaro was born Jeremy Charles Julian Horner in Kent and he was educated at Sutton Valence School and Bedford College, University of London. He is a cousin of I. B. Horner, late President of the Pali Text Society, having completed his honours degree in psychology and physiology, in 1977 he went to Malaysia and Thailand on an undefined open-ended spiritual search. He somehow found himself in northeast Thailand, at the forest monastery of Wat Pah Nanachat, Ajahn Chahs charismatic impact and the encouragement of the senior American monk Ajahn Pabhakaro were decisive. Having become a lay renunciate, four months he became a novice and in 1979 he received upasampada from Ajahn Chah and he stayed in Thailand for two years. Amaro went back to England to help Ajahn Sumedho establish Chithurst Monastery in West Sussex, with the blessing of his abbot, in 1983 he moved to Harnham Vihara in Northumberland. He made the entire 830-mile journey on foot, chronicled in his 1984 volume Tudong, in the early 1990s Amaro made several teaching trips to northern California. Many who attended his meditation retreats became enthusiastic about the possibility of establishing a permanent monastic community in the area. Amaravati, his house back in England, meanwhile received a substantial donation of land in Mendocino County from Chan Master Hsuan Hua. The land was allocated to establish a forest retreat, care for what became Abhayagiri was placed in the hands of a group of lay practitioners, the Sanghapala Foundation. Ajahn Pasanno was appointed founding co-abbot of Abhayagiri with Ajahn Amaro, the latter announced on 8 February 2010 that he would be leaving Abhayagiri and returning to England, having accepted a request from Ajahn Sumedho to succeed him as abbot at Amaravati. Dharma is a key concept with multiple meanings in the Indian religions — Hinduism, Buddhism and Jainism. There is no single word translation for dharma in western languages, in Buddhism dharma means cosmic law and order, but is applied to the teachings of the Buddha. In Buddhist philosophy, dhamma/dharma is the term for phenomena, Dharma in Jainism refers to the teachings of tirthankara and the body of doctrine pertaining to the purification and moral transformation of human beings. For Sikhs, the word means the path of righteousness. The Classical Sanskrit noun dharma is a derivation from the root dhṛ, the word dharma was already in use in the historical Vedic religion, and its meaning and conceptual scope has evolved over several millennia. The antonym of dharma is adharma, the Classical Sanskrit noun dharma is a derivation from the root dhṛ, which means to hold, maintain and takes a meaning of what is established or firm, and hence law. It is derived from an older Vedic Sanskrit n-stem dharman-, with a meaning of bearer, supporter. In the Rigveda, the word appears as an n-stem, dhárman-, figuratively, it means sustainer and supporter. It is semantically similar to the Greek Ethos, in Classical Sanskrit, the noun becomes thematic, dharma-. The word dharma derives from Proto-Indo-European root *dʰer-, which in Sanskrit is reflected as class-1 root √dhṛ, etymologically it is related to Avestan √dar-, Latin firmus, Lithuanian derė́ti, Lithuanian dermė and darna and Old Church Slavonic drъžati. Classical Sanskrit word dharmas would formally match with Latin o-stem firmus from Proto-Indo-European *dʰer-mo-s holding, were it not for its development from earlier Rigvedic n-stem. In Classical Sanskrit, and in the Vedic Sanskrit of the Atharvaveda, in Pāli, it is rendered dhamma. In some contemporary Indian languages and dialects it occurs as dharm. Dharma is a concept of central importance in Indian philosophy and religion and it has multiple meanings in Hinduism and Jainism. It is difficult to provide a concise definition for dharma, as the word has a long and varied history and straddles a complex set of meanings. Pre-sectarian Buddhism, called early Buddhism, the earliest Buddhism, and original Buddhism, is the Buddhism that existed before the various subsects of Buddhism came into being. Some of the contents and teachings of this pre-sectarian Buddhism may be deduced from the earliest Buddhist texts, various terms are being used to refer to the earliest period of Buddhism, Pre-sectarian Buddhism Early Buddhism, The earliest Buddhism, Original Buddhism, The Buddhism of the Buddha himself. Precanonical Buddhism Some Japanese scholars refer to the subsequent period of the early Buddhist schools as sectarian Buddhism, Pre-sectarian Buddhism may refer to the earliest Buddhism, the ideas and practices of Gautama Buddha himself. It may refer to early Buddhism as existing until about one hundred years after the Parinirvana of the Buddha, contrary to the claim of doctrinal stability, early Buddhism was a dynamic movement. Pre-sectarian Buddhism may have included or incorporated other Śramaṇic schools of thought, as well as Vedic and Jain ideas, the first documented split occurred, according to most scholars, between the second Buddhist council and the third Buddhist council. The first post-schismatic groups are stated to be the Sthaviravada. Eventually, eighteen different schools came into existence, Pre-sectarian Buddhism was originally one of the Śramaṇa movements. The time of the Buddha was a time of urbanisation in India and this release was the central aim of the Śramaṇa movements. The oldest recorded teachings are the texts of the four main nikayas of the Sutta Pitaka, together with the body of monastic rules. Scholars have claimed there is a core within this core, referring to some poems. The reliability of sources, and the possibility to draw out a core of oldest teachings, is a matter of dispute. According to Tillman Vetter, the comparison of the oldest extant texts does not just simply lead to the oldest nucleus of the doctrine. A Sthavira canon dating from c.270 B. C. when the activities during Asokas reign as well as dogmatic disputes had not yet created divisions within the Shtavira tradition. According to Vetter, inconsistencies remain, and other methods must be applied to resolve those inconsistencies. Phra Ajaan Thate Desaransi, was one of the most famous masters of Theravada Buddhist meditation known as the Thai Forest Tradition who lived in northern Thailand. Ajahn Thate was born into the family of Ree-o rahng on 26 April 1902 and his birthplace was the village of Nah Seedah, in the subdistrict of Glahng Yai, Bahn Peur District, Udorn-thani Province. His fathers first name was Usah, and his mothers Krang and they were rice-farmers and both had grown up as fatherless orphans. Thate was one of ten children, Thate was a disciple of the very respected Forest Monk teachers Ajahn Sao and Ajahn Mun Bhuridatta. One of his disciples at that time was the Ajahn Chah. Another fellow disciple who remained a friend was Ajahn Maha Bua. Living and meditating in isolated caves and forests, Thate began to obtain acute insights into the workings of the mind, I directed mindfulness so that it was keeping closely aware of the mind, following it to know what happens at death. Mindfulness stayed with the right up to the final moment when only the barest awareness remained. A feeling was present that to release that faint degree of awareness would be death, at this point, the question became whether it would be better for me to let go and allow death to take place. I felt that my heart was currently quite pure and that if I were to let go, I wouldnt lose because of it. Although there remained a delicate feeling that expressed the thought that, rather than letting go and die, by remaining alive, if it were all to finish here with my death, it could only be to my own purely personal advantage. Also, people wouldnt know the circumstances and causes of this death. If thats the case, its better not to let myself die. I therefore attempted to wiggle and move my hands and feet, sometimes, it even happened that although I was asleep and aware of the fact, I was unable to get up. It took some effort on my part to move the body and my own understanding at that time was that the stilled, one-pointed heart, didnt allow thoughts to careen away externally and so would definitely be able to transcend every bit of suffering. I thought that wisdoms only function was to purge the out-wanderings of the heart, Thate came to dwell and meditate in the forest near what is now Wat Hin Makpeng in 1964. There, as well as constructing kutirs and temples for the monks, he assisted with funding local schools, hospitals, in addition to his large following of disciples in Thailand, Ajaan Thate trained many western disciples in meditation. Pali is a Prakrit language native to the Indian subcontinent. It is widely studied because it is the language of much of the earliest extant literature of Buddhism as collected in the Pāli Canon or Tipiṭaka and is the language of Theravāda Buddhism. The word Pali is used as a name for the language of the Theravada canon, Childers translates the word as series and states that the language bears the epithet in consequence of the perfection of its grammatical structure. However, modern scholarship has regarded Pali as a mix of several Prakrit languages from around the 3rd century BCE, combined together and partially Sanskritized. 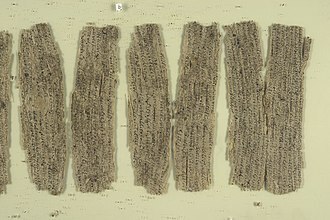 The closest artifacts to Pali that have found in India are Edicts of Ashoka found at Gujarat, in the west of India. There is persistent confusion as to the relation of Pāḷi to the vernacular spoken in the ancient kingdom of Magadha, Pali, as a Middle Indo-Aryan language, is different from Sanskrit more with regard to its dialectal base than the time of its origin. A number of its morphological and lexical features show that it is not a continuation of Ṛgvedic Vedic Sanskrit. Instead it descends from one or more dialects that were, despite many similarities, this view is not shared by all scholars. Some, like A. C. Woolner, believe that Pali is derived from Vedic Sanskrit, Paiśācī is a largely unattested literary language of classical India that is mentioned in Prakrit and Sanskrit grammars of antiquity. 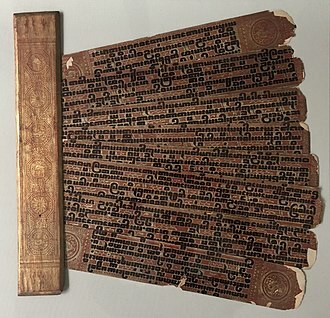 e. Evidence which lends support to this interpretation is that literature in Paiśācī is fragmentary and extremely rare, many Theravada sources refer to the Pali language as Magadhan or the language of Magadha. This identification first appears in the commentaries, and may have been an attempt by Buddhists to associate more closely with the Maurya Empire. The Buddha taught in Magadha, but the four most important places in his life are all outside of it and it is likely that he taught in several closely related dialects of Middle Indo-Aryan, which had a high degree of mutual intelligibility. There is no attested dialect of Middle Indo-Aryan with all the features of Pali, Pali has some commonalities with both the western Ashokan Edicts at Girnar in Saurashtra, and the Central-Western Prakrit found in the eastern Hathigumpha inscription. Thai people, who originally lived in southwestern China, migrated into mainland Southeast Asia over a period of many centuries. Siam may have originated from the Sanskrit śyāma dark, referring to the skin colour of its native people. Chinese, 暹羅, pinyin, Xiānluó was the name for the kingdom centred on Sukhothai and Sawankhalok, but to the Thai themselves. The countrys designation as Siam by Westerners likely came from the Portuguese, Portuguese chronicles noted that the Borommatrailokkanat, king of the Ayutthaya Kingdom, sent an expedition to the Malacca Sultanate at the southern tip of the Malay Peninsula in 1455. Following their conquest of Malacca in 1511, the Portuguese sent a mission to Ayutthaya. A century later, on 15 August 1612, The Globe, by the end of the 19th century, Siam had become so enshrined in geographical nomenclature that it was believed that by this name and no other would it continue to be known and styled. Indianised kingdoms such as the Mon, the Khmer Empire and Malay states of the Malay Peninsula, the Thai established their own states, the Sukhothai Kingdom, the Kingdom of Chiang Mai, Lan Na and the Ayutthaya Kingdom. These states fought each other and were under constant threat from the Khmers, after the end of the absolute monarchy in 1932, Thailand endured sixty years of almost permanent military rule before the establishment of a democratically elected-government system. In 2014 there was yet another coup détat, prior to the southwards migration of the Tai peoples from Yunnan in the 10th century, mainland Southeast Asia had been a home to various indigenous communities for thousands of years. The recent discovery of Homo erectus fossils such as Lampang man is an example of archaic hominids, the remains were first discovered during excavations in Lampang Province. The finds have dated from roughly 1,000, 000–500,000 years ago in the Pleistocene. Stone artefacts dating to 40,000 years ago have been recovered from, e. g. Tham Lod rockshelter in Mae Hong Son and Lang Rongrien Rockshelter in Krabi, peninsular Thailand. The archaeological data between 18, 000–3,000 years ago primarily derive from cave and rock shelter sites, there are many sites in Thailand dating to the Bronze and Iron Ages. Buddhism in the West broadly encompasses the knowledge and practice of Buddhism outside of Asia. Occasional intersections between Western civilization and the Buddhist world have been occurring for thousands of years, the Western and Buddhist worlds have occasionally intersected since the distant past. It was possible that the earliest encounter was in 334 BCE, early in the history of Buddhism, the Seleucids and successive kingdoms established Hellenistic influence in the area, interacting with Buddhism introduced from India, producing Greco-Buddhism. The Mauryan Emperor Aśoka converted to Buddhism after his bloody conquest of the territory of Kalinga in eastern India during the Kalinga War, regretting the horrors brought about by the conflict, the Emperor decided to renounce violence. He propagated the faith by building stupas and pillars urging, amongst other things, respect of all animal life, perhaps the finest example of these is the Great Stupa of Sanchi in India. This stupa was constructed in the 3rd century BCE and enlarged and its carved gates, called Toran, are considered among the finest examples of Buddhist art in India. He built roads, hospitals and irrigation systems around the country and he treated his subjects as equals regardless of their religion, politics or caste. This period marks the first spread of Buddhism beyond India to other countries, in the Christian era, Buddhist ideas periodically filtered into Europe via the Middle East. The first direct recorded encounter between European Christians and Buddhists was in 1253 when the king of France sent William of Rubruck as an ambassador to the court of the Mongol Empire. Later, in the 17th century, Mongols practicing Tibetan Buddhism established Kalmykia, several instances of interaction between Buddhism and the Roman Empire are documented by Classical and early Christian writers. Roman historical accounts describe an embassy sent by the Indian king Pandion, named Porus, the embassy was travelling with a diplomatic letter in Greek, and one of its members—called Zarmanochegas—was an Indian religious man who burned himself alive in Athens to demonstrate his faith. The event created a sensation and was described by Nicolaus of Damascus, who met the embassy at Antioch, a tomb was made for Zarmanochegas, still visible in the time of Plutarch, which bore the following inscription, ΖΑΡΜΑΝΟΧΗΓΑΣ ΙΝΔΟΣ ΑΠΟ ΒΑΡΓΟΣΗΣ. These accounts at least indicate that Indian religious men were visiting Mediterranean countries, the term sramana is a general term for Indian religious man in Jainism, and Ājīvika. It is not clear which religious tradition the man belonged to in this case, in English, Sir Edwin Arnolds book-length poem The Light of Asia, a life of the Buddha, became a best-seller and has remained continuously in print since it first appeared. These included the German philosopher Schopenhauer, who first read about Buddhism, the American philosopher Henry David Thoreau translated a Buddhist sutra from French into English. In the latter half of the 19th century, Buddhism came to the attention of a wider Western public, immigrant monks soon began teaching to western audiences, as well. Buddhism in Thailand is largely of the Theravada school, which is followed by 93.6 percent of the population. Buddhism in Thailand has integrated with folk religion as well as Chinese religions from the large Thai Chinese population. 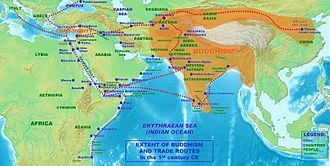 During the 5th to 13th centuries, Southeast Asian empires were influenced directly from India, the Chinese pilgrim Yijing noted in his travels that in these areas, all major sects of Indian Buddhism flourished. Srivijaya to the south and the Khmer Empire to the north competed for influence, from the 9th to the 13th centuries, the Mahāyāna and Hindu Khmer Empire dominated much of the Southeast Asian peninsula. Under the Khmer Empire, more than 900 temples were built in Cambodia, Theravada Buddhism was made the state religion only with the establishment of the Sukhothai Kingdom in the 13th century. Religion and polity, remained separate domains, and in times the organizational links between the sangha and the king were not close. That control was coupled with support and patronage of the ecclesiastical hierarchy. When a king was weak, however and supervision of the sangha weakened, and this fluctuating pattern appears to have continued until the emergence of the Chakri Dynasty in the last quarter of the 18th century. As a monk, Mongkut was a scholar of Pali Buddhist scripture. Moreover, at time the immigration of numbers of monks from Burma was introducing the more rigorous discipline characteristic of the Mon sangha. Influenced by the Mon and guided by his own understanding of the Tipitaka and this more rigorous discipline was adopted in its entirety by only a small minority of monasteries and monks. The administrative and sangha reforms that Mongkut started were continued by his successor, in 1902 King Chulalongkorn made the new sangha hierarchy formal and permanent through the Sangha Law of 1902, which remained the foundation of sangha administration in modern Thailand. Three major forces have influenced the development of Buddhism in Thailand, the most visible influence is that of the Theravada school of Buddhism, imported from Sri Lanka. A memorial to Ajahn Mun at Wat Liap in Ubon Ratchatani, Thailand, the monastery where Ajahn Mun first learned kammatthana meditation from Ajahn Sao. A group of dhutanga monks in early 20th century Thailand. Thai Buddhist forest monks on pilgrimage. 2008. 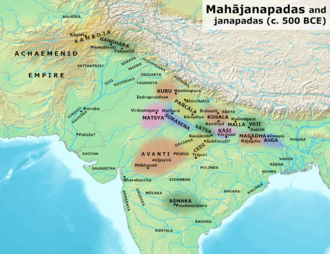 The Mahajanapadas were sixteen most powerful and vast kingdoms and republics around the lifetime of Gautama Buddha, located mainly across the fertile Indo-Gangetic plains, there were also a number of smaller kingdoms stretching the length and breadth of Ancient India. A Wax statue of Ajahn Mun at Wat Chedi Luang, Chiang Mai, Thailand.